One long-suffering franchise will be crowned World Series champion by next week, and the excitement pulsating through Cleveland and Chicago is beginning to impact ticket prices for both cities' fellow pro sporting teams. With the Indians set to host the Cubs in Game 1 on Tuesday night, the average price for Cleveland Cavaliers tickets for their home opener against the New York Knicks has dropped significantly since the Tribe clinched their World Series berth last Wednesday. The same can be said for the Chicago Bulls and Blackhawks in the Windy City, who have experienced a similar price drop over the last several days. The Cavaliers will open their season on Tuesday night against the Knicks, and the home opener that will be preceded by a ring and banner ceremony has dropped significantly in price over the last several days. The average resale price for the game is now $220.78, down 42 percent from last Wednesday's $378.65 average. If looking just to get in the cheapest tickets are currently listed from $128. As Chicago braces for its first Cubs World Series games since 1945, both the Bulls and Blackhawks are feeling the heat on the secondary market. The Bulls welcome the Boston Celtics for their home opener on Thursday night, and Bulls tickets at United Center have dropped nearly $10 on average over the last six days. Tickets for the first game at United Center now start from $38. 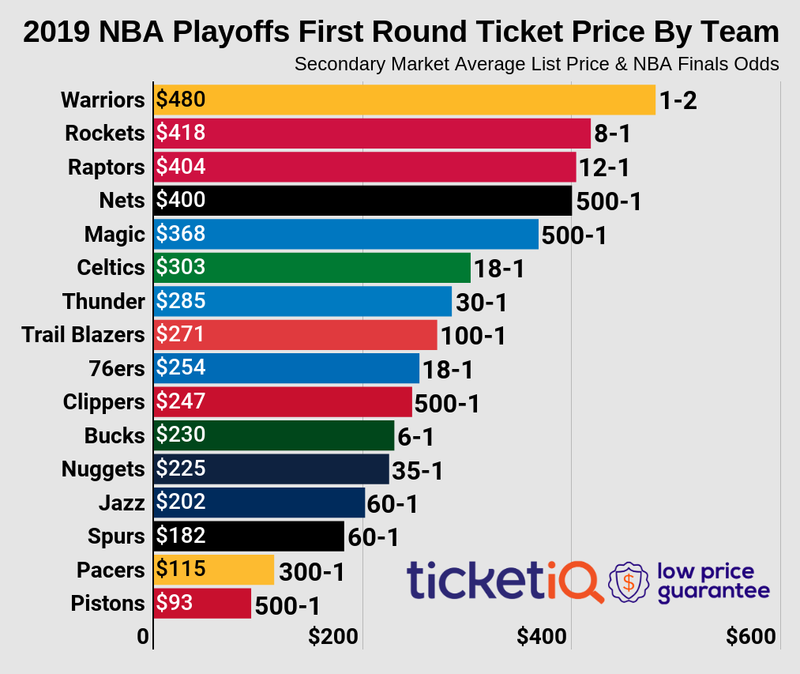 They'll host the Indiana Pacers two days later, and prices have also dipped in the previous several days. While the Blackhawks have struggled out of the gate this season, the team can certainly credit the Cubs' upcoming home games for a decrease in ticket demand for their October 30 matchup with the Los Angeles Kings. Blackhawks tickets are now averaging $214.06 against the Kings, down 9 percent from last week's average of $235.12.